The Jews of Italy, particularly Modena, were the bankers (under the protection of the House of Este) and scribes, particularly the Kabbalistic scribes, since 1025. The Jewish tradition of Modena is rich and varied: the Jews were expelled from Bologna and other parts of Italy and escaped to the safety of Modena; yet Modena still required a Ghetto. They were the heart of the “Italkim,” the Jews of Italy. 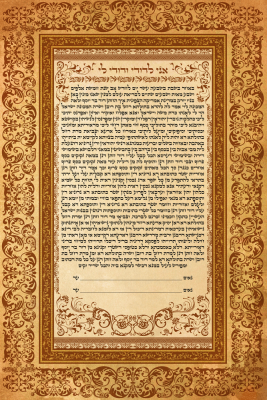 The tradition of the Ketubot from Modena is one of the greatest remaining gifts to modern Jewry from Modena. The Ketubot of Modena were elegant yet embellished — a perfect combination representing the ups-and-downs of the traditional Jewish life in Modena and, more generally, Italy. 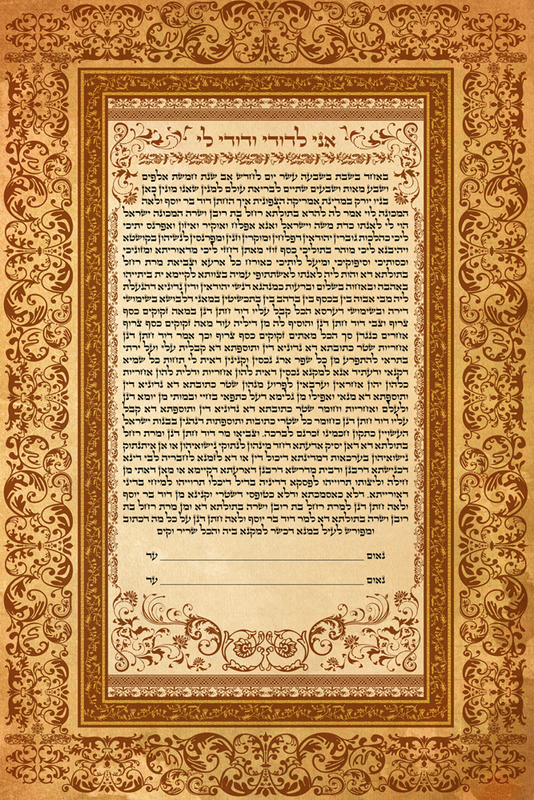 The Modena Ketubah incorporates the elaborate details of the southern Sephardi Jews — and applies it to a more traditionally Ashkenazim format, where a simple frame holds the text. The use of one single color was popular in the early sixteenth century, as pigments were scarce, and the color red was the most appropriate option when writing on parchment.